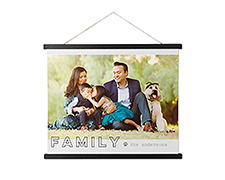 Bring a gallery touch to your desktop with a personalized easel backed canvas print. 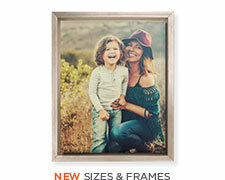 A custom hanging canvas print puts a unique touch on your favorite photo. Decorate your walls or gift one to someone special. 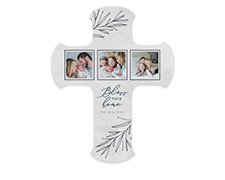 Share your love with a thoughtful personalized wall cross, the perfect gift for a baptism or any fitting event. 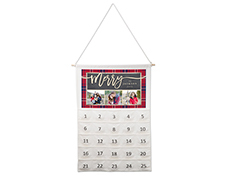 Count down to Christmas with a personalized advent calendar. The perfect way to add a little fun to the holidays. 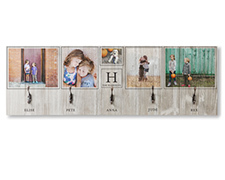 Stay organized with a custom wall hook organizer. The perfect accent to your entryway. Make a personalized ornament with your favorite photos. 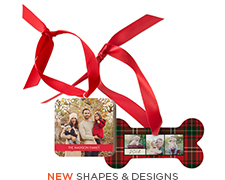 Choose from glass, metal, wood cube, pewter or ceramic ornaments. 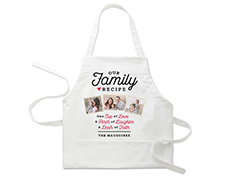 Give the chef in your life a personalized apron they’re sure to love! 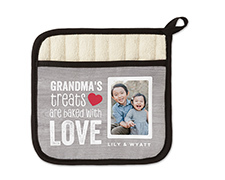 Customize with favorite photos or sayings, it’s sure to become a kitchen staple. 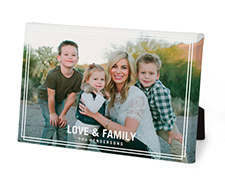 Add your favorite photos to a custom pot holder. The perfect accent to any kitchen and a thoughtful gift they’ll treasure. The chef in your life will love this personal and practical gift.